***We are in the 4th quarter at the 2 min warning*** Trent is in his final extension to file his appeal. He has been going at this alone. It has been a struggle to find an attorney to take his case but we have FINALLY found one. We have an attorney set up for him and we need to get this money to him ASAP so he can start working on what needs to be filed. Please…$1, $5, $10, $20…what ever you can donate to help would greatly appreciated. PLEASE INVITE EVERYONE YOU KNOW…so another father does not lose his child to unethical adoption. He deserves the right to raise his daughter as he has fought so hard for! Please…We can not let Trent and his daughter go down with out a fight! 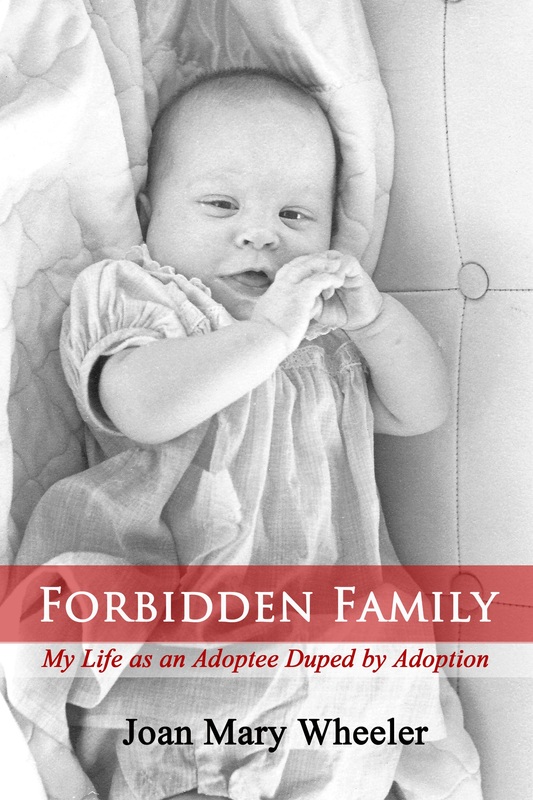 This undated article by Jayne Jacova Feld appeared in my email inbox on October 31, 2014: Opening Up – Bringing the fight to unseal adoption records to life. Typically, this article confuses reunion with civil rights. The civil right to one’s sealed birth certificate is not the same as reunion or contact. A person who wishes no contact has a right to be left alone. A person who wishes to unseal their sealed birth record still must ask a court for permission, or abide by restrictive laws that allow release of uncertified sealed birth certificates under specific restrictions. Closed adoptions are indeed performed today as many adoptive parents request no contact at any time with the natural parents of their adoptee. Open adoptions do not mean open records. Adoptees are not only illegitimates born to not-married parents. We are legitimates born within a marriage, half orphans, full orphans, adopted by step parents, and older children adopted out of foster care. To lump all of us under the umbrella of persons born to “unwed” mothers is to keep the stereotypes alive. Except for Kansas and Alaska, every single adoptee in America suffers the injustice of their actual birth certificate automatically sealed at the finalization of adoption. Even in Kansas and Alaska, every single adoptee in America is automatically issued a new, amended, birth certificate indicating, falsely, that the new parents gave birth to the child named. Many adoptees’ actual birthdates are changed, as well as birthplace, and most adoptees’ names at birth are changed to reflect new identities picked by adoptive parents. In the few states that have passed laws “allowing” adoptees “access” to their sealed birth records, these adoptees are not given certified copies of their actual birth certificates. They are given uncertified copies which are stamped on the front with one of the following in big bold letters: “VOID”, “Not For Official Use”, “For Genealogical Use Only”. 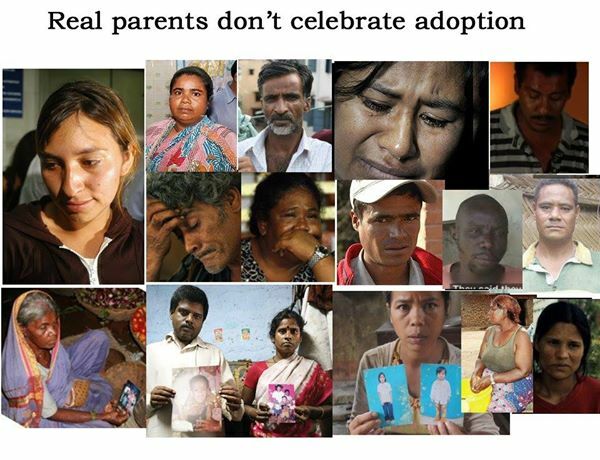 While many adoptees jump for joy over the fact that they are able to unseal their previously sealed actual birth certificates, their elation over seeing their birth certificates for the first time in their lives should be tempered with the realization that their legal birth certificate (the one that was falsified at the time of finalization of adoption) overrides the uncertified birth certificate that they now have in their hands. There is a big difference between a mere knowing the truth of your origins (by “winning” the right to an uncertified birth certificate that was previously sealed) and actually reversing the oppressive laws that instituted sealing and falsifying adoptees’ birth certificates around the USA beginning in 1930, state by state. Many adoptees, like me, advocate for the total restoration of our civil rights. We want our actual birth certificates to be reinstated and certified by our government. And we want our falsified birth certificates to be rescinded. 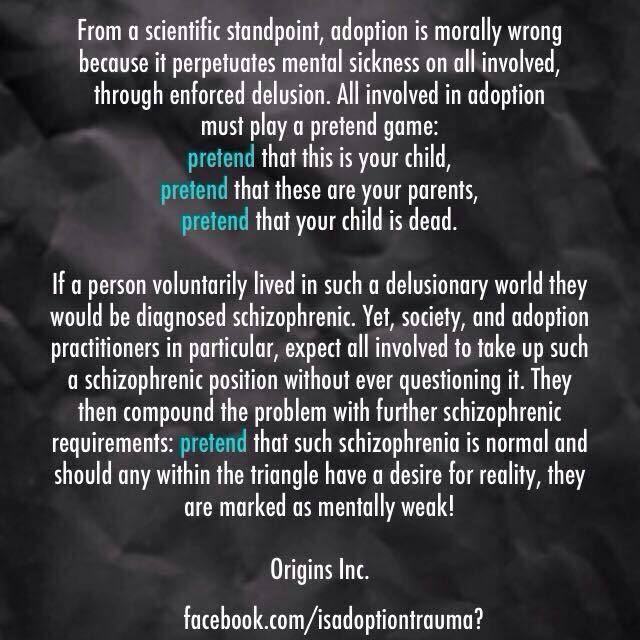 Some of us want adoption certificates to replace them, others want to rescind their adoptions altogether. As for the Catholics who want control: I was conceived within a marriage, yet your one-sided attack on “unwed” mothers devalues my birth, and that of adoptees who aren’t in your narrow focus of being born bastards. As for “birth” parents who want to redact their names from birth certificates: your name, whether you want it there or not, was recorded within five days of birth on a government document recording the fact that you gave birth. When you signed relinquishment papers in the courtroom, you lost all rights to the person you gave up for adoption. You did not retain the right to dictate to that person 50 or more years after birth. All persons over the age of 21 are of legal age and are not bound by parental authority. Lastly, the first advocacy group was not Adoptees Liberty Movement Association, as stated in this article (Opening Up – Bringing the fight to unseal adoption records to life), but rather Orphan Voyage, founded in 1953 by adoptee and social worker Jean Paton. I was very fortunate to have known Jean Paton. She was a delightful lady with a quiet sense of reserve. She deserves recognition as the one person who started the adoptees’ rights movement in America. Others followed and we now have a very extensive network of activists and organizations. Readers may be interested in reading about her life in a hardcover book written by historian E. Wayne Carp: Jean Paton and the Struggle to Reform American Adoption (January 2014). When my adoptive parents “got me” in 1956, my natural father told them that my mother died less than a month previously from uterine cancer. Because of this, as a teenager, I had twice yearly PAP tests, looking for uterine cancer. I was reunited with my father and siblings and extended family (natural mother’s family) in 1974. No one talked about health issues. They were too busy comparing me to the others as to who I looked like, who I sounded like. Meanwhile, my father handed me my mother’s death certificate. Cause of death: cancer of the kidney. My grieving father had given the wrong cause of death to my adoptive parents (I do not blame him in any way – he had just lost his wife of ten years and the mother of their five children). They (my adoptive parents) in turn, gave me the wrong information. I, in turn, had been tested for the wrong medical problem. In college in the 70s, I developed very frequent bladder and kidney infections. I asked my gynecologist if it was possible that these were indications of cancer. That is why we petitioned the hospital for my mother’s records, and mine, at my birth and during the three months prior to her death. To my relief, no, my bladder and kidney problems were due to stress and not inherited tendency to cancer. My full blood siblings, however, drilled it into me that I “did not have my facts straight”. They told me off, saying that Mom died of cancer of the uterus and that I was lying. Apparently, our grieving father had told them that our mother died of uterine cancer. Apparently he had never given them our mother’s death certificate. Additionally, the judge who presided over my adoption never bothered to ask my father for my mother’s death certificate. This was in 1956, a time when society believed that babies were “blank slates”. Environment meant more than biology. My father was not required to fill out medical history forms during the months before my adoption became final. Nothing was mentioned about his medical history, nor of his parents, cousins, aunts and uncles. My father was not required to provide any medical history of his deceased wife’s family. My father finally told me in 2003 what his parents died of a few years after he relinquished me. His father had gangrene in his leg. His mother died of colon cancer. Health care is vital. We adoptees need to know the truth.